1. Your team lack of Carry heroes. 3. You want to learn how to "Last Hitting". 1. Many of your enemy picking Nuker and Ganker type. 2. You like killing enemies that are being pursued by your ally. 3. You haven't read this guide. A shot to the head deals bonus damage and stuns for a short duration. Level 1 - 40% chance to deal 15 damage and ministun. 0.25 second duration. Level 2 - 40% chance to deal 40 damage and ministun. 0.25 second duration. Level 3 - 40% chance to deal 65 damage and ministun. 0.25 second duration. Level 4 - 40% chance to deal 90 damage and ministun. 0.25 second duration. Kardel uses his dwarf engineering skills to make modifications to his rifle, enhancing the range of his rifle. Take time to draw a bead, and then deal a large amount of damage to the target at a huge range. Level 1 - Deals 355 damage. Casting Range 2000. Mana cost 175. Cooldown 20 s.
Level 2 - Deals 505 damage. Casting Range 2500. Mana cost 275. Cooldown 15 s.
Level 3 - Deals 655 damage. Casting Range 3000. Mana cost 375. Cooldown 10 s.
You can choose on Mid lane or go with your team's babysitter. In early game, Keep focus on farming. Last hitting creeps and sometimes hit your enemy. You have range advantage, that make you will be more profitable than the enemy in hitting case. But still, your priority is to farming. Hitting your enemy is just to make they afraid to come forward for farming. When you go with your team's babysitter, you'll be more focused and easier for last hitting creeps. Lane Supports or Babysitters are Heroes who help their team's Carry control the lane in the early stages of the game. So usually, babysitters will harassing enemies heroes that are in your lane and ease you for farms. When you have at least Lothar or Yasha+MoM it's time for you to show. When you do 1 on 1(Killing your enemy by your own), make sure your enemy doesn't have any disabler skill and most of your enemy is far away from you. This is the tips for you : You can see a little map on left bottom side, then see the big red dot. See is there many of your enemies are visibles on the map and far from you. The next condition is the place you want to do 1 on 1. Estimate the time that you need to kill your enemy with the time that the enemy's team need to come(See on the nearest tower that they could teleport on it). When a long game are happen, change your boot's into boots of travel. It'll speed you up to defend after attack / attack after defend. When you attacking enemy base, use Shrapnel to enemies tower. 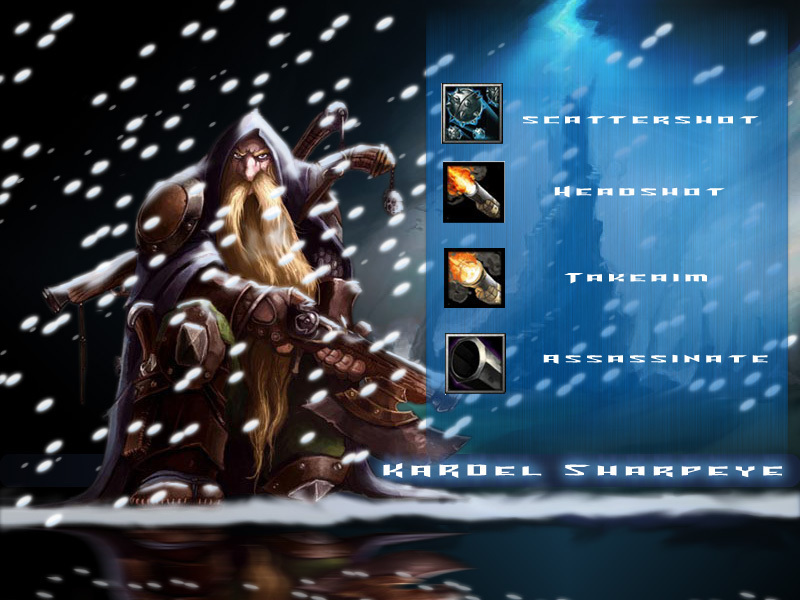 That's all for Kardel Sharpeye - The Dwarven Sniper DotA Guide. Enjoy DotA Gamers ! 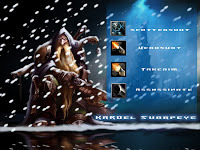 Subscribe us for another hero and item guide, DotA AI map, and latest thing about DotA.